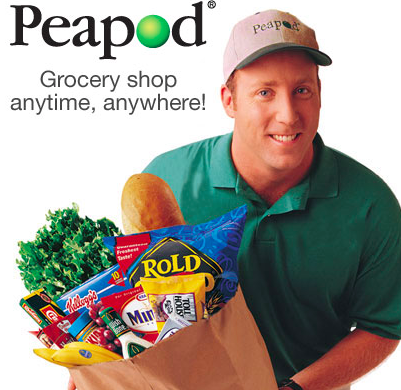 Years ago… feels like eons ago but I’m talking late 90s, I lived in Boston and used to use Peapod to get grocery delivery. It was a new thing and although I was single and twenty something and who knows why I couldn’t get to the grocery store, but I used it all the time. I left Boston and Peapod behind, as sadly they didn’t have it in San Francisco and then eventually Philadelphia, where I finally settled. For whatever reason, it’s taken until 2016 for them to come to the Philly burbs. I was able to use an awesome coupon for $20 off my first order plus 60 days of free delivery so I’m on that now. It is the best thing since sliced bread. Our fall has been the craziest season we’ve had yet with work, after school kids activities and our social calendar. I’ve barely had the time to brush my teeth, let alone get to the grocery store. Which is why I’m totally on board with the weekly grocery store delivery. The best part about Peapod too is that I schedule my weekend delivery days out. I pay for it but then you have until the day before to add things. So all week long, when I notice we’re in need of some good, I just go in and add it to my list. So much more effective than my usual list/hope I don’t forget it when I go in-store. 60DAYSFREE gives you the same deal I got – visit Peapod.com to see if they deliver near you and use the coupon if they do.